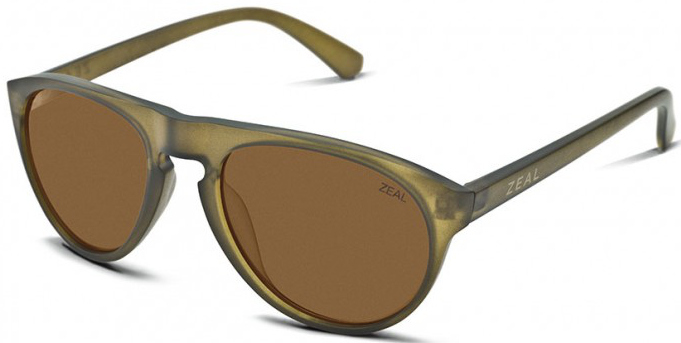 ZEAL’s MEMPHIS is the newest member of its Crafted Collection of fashion-forward, biodegradable sunglasses. ZEAL Optics works with Italy’s renowned Mazzucchelli family to turn cotton into a unique biodegradable but durable acetate that is then hand-crafted into MEMPHIS shades. MEMPHIS harkens back to a bygone time, while telegraphing an era yet to come – a time of style, insight, and earth-awareness. The roots of MEMPHIS run deep, while its legend blooms on the surface. MEMPHIS joins ACE, FLEETWOOD, and DAKOTA in the Crafted Collection which blends the ageless tradition of old world craftsmanship with new world innovation. Each and every piece is handcrafted, tapping into centuries-old techniques and steadfast values defined by the heritage of working with your hands, physically connecting the masterpiece to the person behind it. More about these incredible products here.